The sailors of the Medieval Age called the island “Arzantiera”, that is Silvery, for the grey-white rocks they saw as they approached the island. 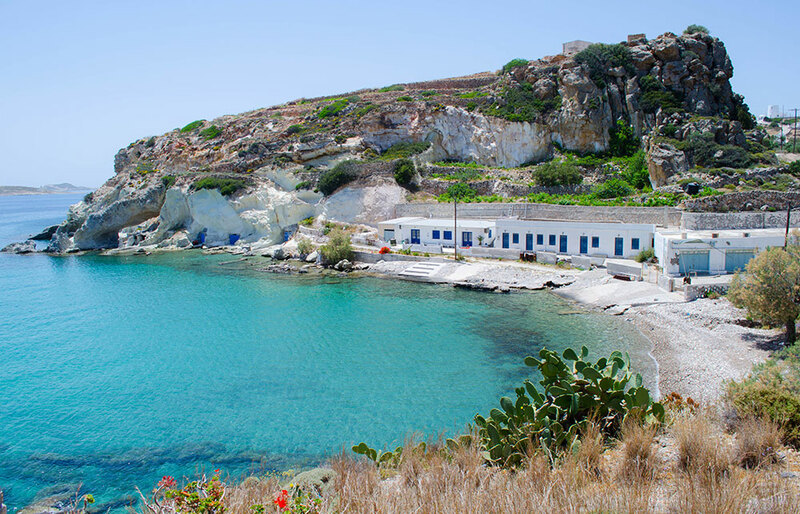 Tiny and intrinsically beautiful, Kimolos is perched off the northeast tip of Milos. This rear Cycladic gem feels like a step back in time when simplicity and elegance prevailed and warm hospitality was taken for granted.Kimolos is chosen by its travelers for its traditional character, calm ambience and unique silver shine, while it is very easy to reach it in on a local ferry from Milos (even as a daily excursion) in less than 30 minutes, or by conventional ferry line. 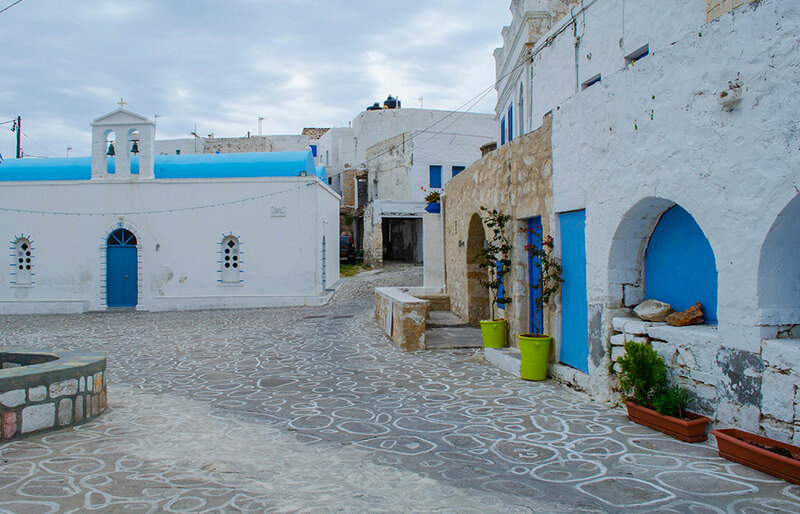 Narrow pebbled alleys, traditional villages,white chapels with blue domes, colorful syrmata, geological marvels, lunar rock formations,rich variety of minerals, fantastic chalk colored soils (which actually gives its name in Greek, i.e. Κιμωλία (kimolia) = chalk), natural springs, sparkling bays and sapphire waters compose its indisputablebeauty. This undiscovered Cycladic gem awaits those ready to unveil its many treasure of earth and sea. Ancient Town of Ellinika: is situated underwater on the seabed of the southeast side of Kimolos in the area of Dekas/ Ellinika. Underwater explorations have brought to light an ancient necropolis and a number of Mycenaean, Geometrical, Archaic, Classical and Hellenistic findings. Historians believe that Kimolians had been residing in this area at least up to the early Christian years. Besides the unique snorkeling experience the area also offers a majestic sunset. Archaeological Museum: is located in Chorio and exhibits archeological findings from the ancient settlements of Kimolos, showing the history of the island. In the museum you will find objects dating from the 7th century BC. 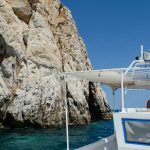 Caves of Kimolos: are hidden all around the island. The most well known is the cave of Vromolimni, which is the largest cave of a series of caves carved into the rocks and can be accessed by foot or by boat. The cave of Gerakia also offers a unique exploration wading through its crystal shallow waters. Church of Pantokratoras: is located at Xaplovouni and is among the best places to visit in Kimolos with amazing view from its courtyard. Folklore Museum: is situated inside the walls of the old Medieval Castle in Chorio. The museum displays the culture and heritage of Kimolos through a variety of household items and furniture, including daily objects, textiles, agricultural tools and cooking items. 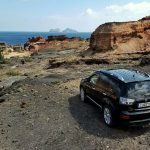 Kimolos Natural Hiking Paths: enable travelers to visit the whole island and places that cannot be reached by a car. The best time to walk through the island’s beautiful paths is in the spring, when the hills are bright green and covered with colorful flowers. In the summer time make sure to bring a swim suit with you, because all the routes lead to beautiful beaches. Medieval Castle: is located in the center of Chorio and is the oldest and most picturesque part of the area. It is believed to date back to the 14th or 16th century and is comprised of two parts, the inner and outer castle. The inner castle was the only inhabited area of Kimolos up until the end of the 19th century. The outer castle is comprised of a series of houses side by side, creating fortifying walls that used to protect the village from invasions and pirate attacks. Today the inner castle holds the remains of the area, while the outer of the Castle is still inhabited and offers every year to its lucky visitors a beautiful journey back in time. Polyaigos and neighboring islets: are uninhabited islets, part of the municipality of Kimolos, gifted with extreme natural beauty. These utterly unspoiled natural landscapes were part of “Natura 2000” and definitely worth a visit, due to its crystal clear turquoise waters, known as “Galazia Nera”. 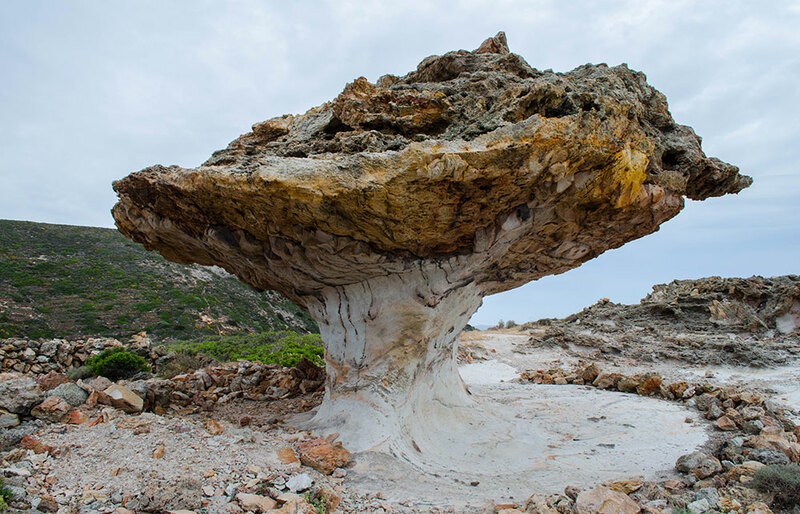 Skiadi: is a natural sculpture in the northwestern part of Kimolos that resembles a giant mushroom. It is an impressive rock formation shaped by the very strong winds in the area. The softer rock that lies at its basis is corroded by the wind while the top, which is harder, remains almost intact. This rare monument is part of the Atlas of Geological Monuments of the Aegean and can be reached by hiking. While in the area, make sure to stay and enjoy the beautiful sunset. A must see! Syrmata: are caves with colorful doors carved into the rocks, located in the picturesque settlement of Goupa. Syrmata were built by fishermen to hail their boats and protect them during the winter months. 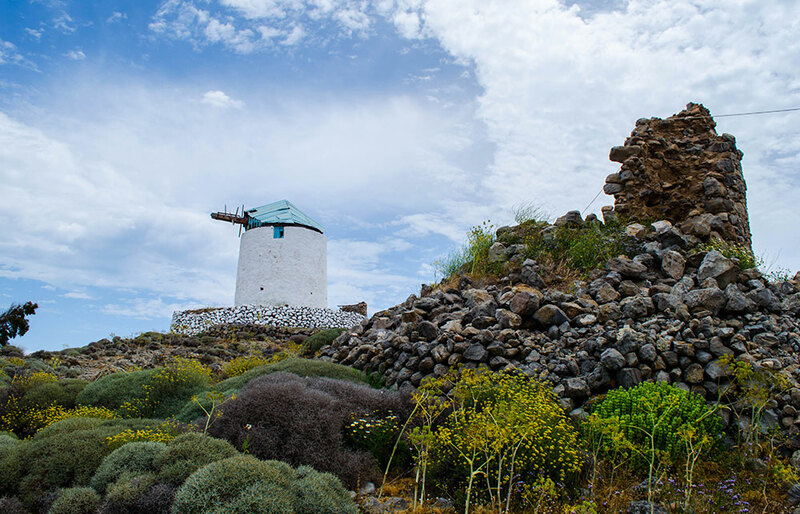 The Windmills: are standing on the top of the hill in Xaplovouni and offer amazing views of the surrounding area. Although they are not operational, they serve as the landmark of the island and its long history and are definitely worth seeing. Chorio is the capital and main village of Kimolos. It is located on the southeast side of the island and is home to approximately 90% of the island’s population. Chorio has a traditional character with brilliant Aegean architecture. Whitewashed housed with blue windows, blue domes, stone windmills, labyrinthine alleys and flowered yards are built around the center of the old Medieval Castle, giving a sense an old world charm. The castle has one of the finest defensive architecture of the Aegean and consists of two parts: Mesa (inner) Castle and Exo (outer) Castle. Houses in this area were builtfrom hard rock stone (sideropetra) and limestone. 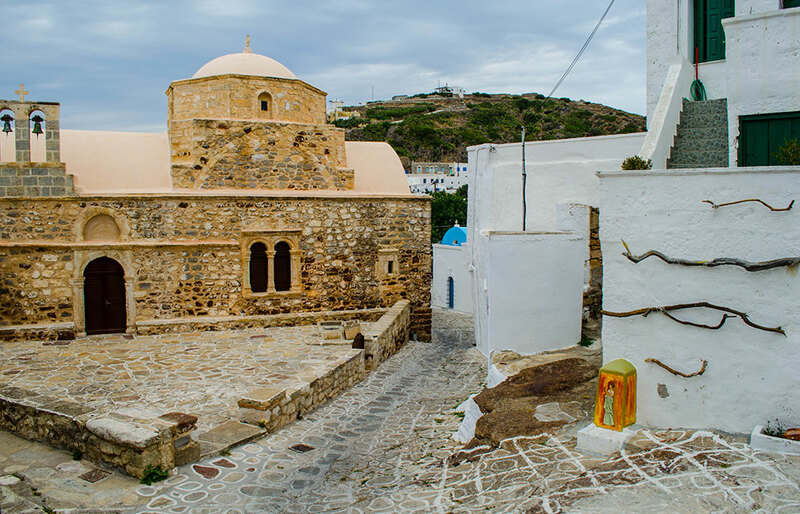 Chorio is the principal spot of attractions in the island, filled with places of interest, including an Archaeological museum and some important churches dating from the 16th century. 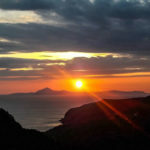 There are also some smaller settlements in the island that are inhabited mainly in the summer, while in the winter have few residents like: Psathi (port), Goupa, Kara (syrmata), Rema, Prasa, Aliki, Bonatsa and Dekas. 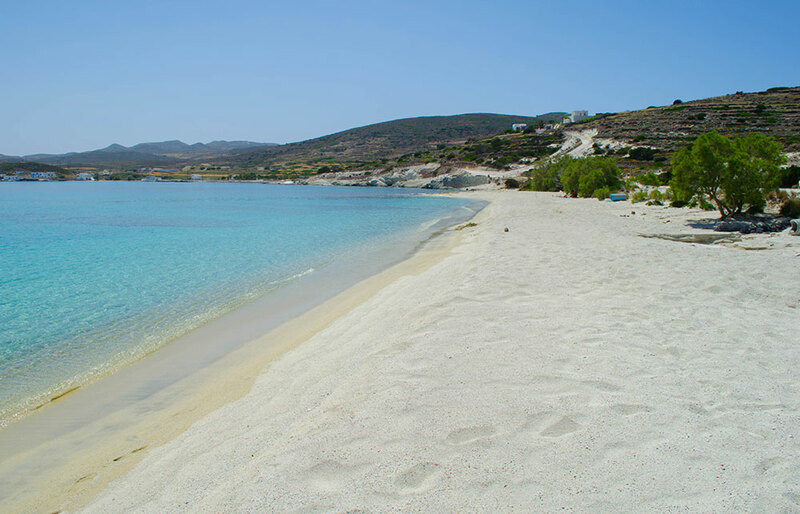 Alyki: is one of the most visited beaches in Kimolos, located on the south side of the island. Its sand and pebble shore along with the azure waters and tamarisk trees make this beach a lovely choice for swimming and relaxing and are ideal for families with children. Bonatsa: is a large beach with golden sand with plenty of natural tree shade and beautiful sand lilies. Bonatsa is one of the most popular beaches on the island. Its shallow calm waters are very welcoming for swimming and its shady sand provides a perfect environment for relaxing. There are also some tavernas in the area to visit after a tranquil beach day. Due to its serene setting and atmosphere, Bonatsa is very popular among families. Dekas, Ellinika and Mavrospilia: are 3 beaches one next to the other, on the southwest side of the island. Although these beaches are of exceptional beauty, offering fine sand and turquoise waters, they are particularly famous for their rich seabed. At Ellinika you can see the sunken ancient town and the ancient burial grounds, while Mavrospilia is offered for swimming, snorkeling, diving into the archeological underworld and magical sunset views. Kalamitsi: is a golden sandy beach with beautiful trees and shallow emerald waters, close to Psathi village. The beach is offered for relaxation in the shade of its many tamarisks. 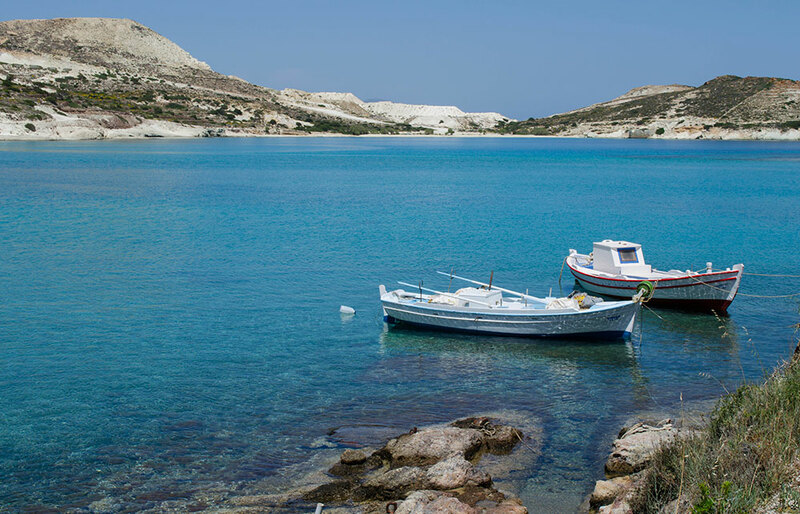 In the taverna near the beach you can enjoy traditional delicacies and beautiful views of the island of Milos. 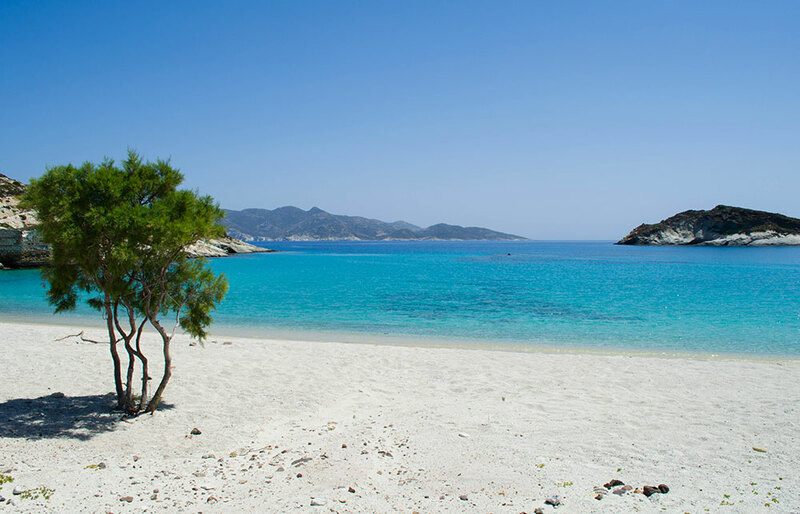 Prassa: is a stunning white sand beach with turquoise waters located on the northeast side of Kimolos. The beach is one of the most beautiful in the island and is ideal for both fun and relaxation, as it has a beach bar and sunbeds during summer time. The area has a natural hot spring providing therapeutic minerals for natural healing. 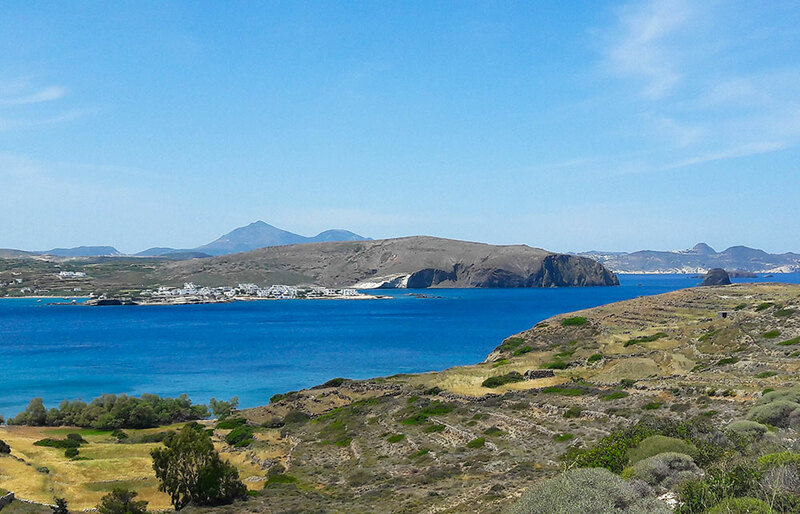 Kimolos was once part of Milos and got separated after a strong earthquake during the 1st century AD. According to mythology Kimolos was named after its first inhabitant. Kimolos married Side, who was a daughter of Poseidon, God of the sea. 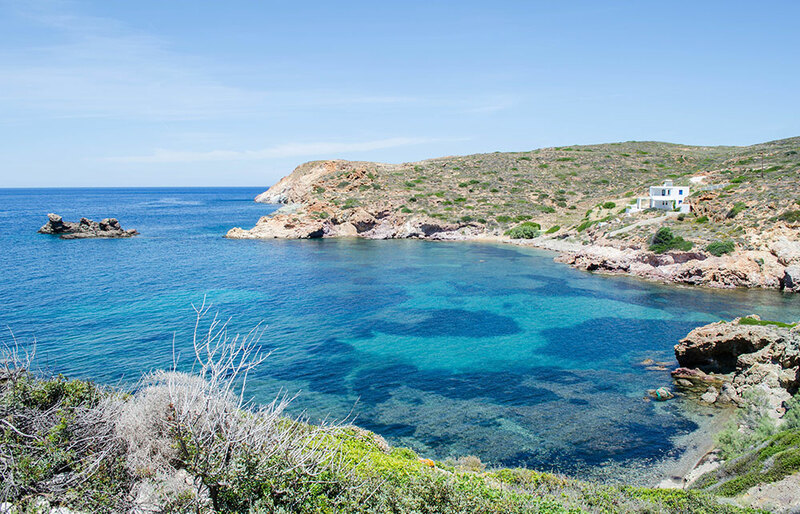 Side was named after the Greek word for iron (sideros), and was associated with iron, minerals, and semi-precious stones, giving an explanation to why the island is so rich in mineral deposits and -precious stones forming an astonishing silver coastline. Island Name: Kimolos is the greek world for chalk (kimolia). 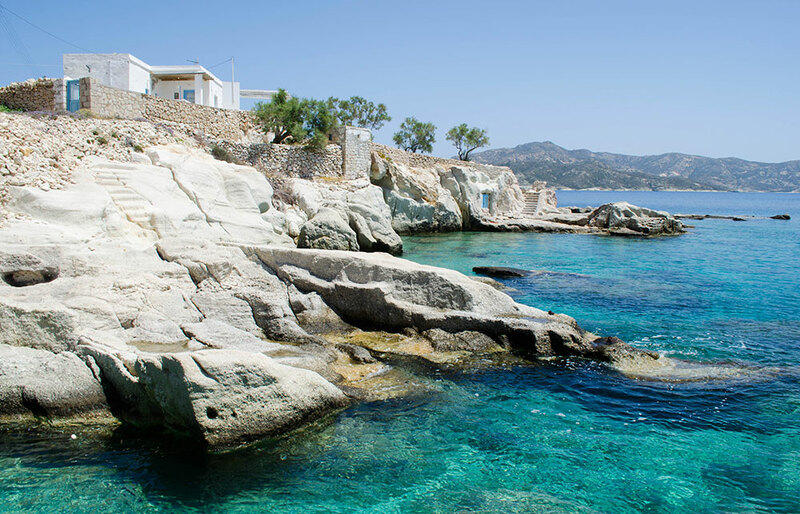 It is believed that Kimolos gave its name to kimolia, due to the major mineral deposits found on the island. Other recorded names during the ancient times are Echinousa, the island of sea urchins and Echidnousa probably because of the snake Echidna (viper), being common even today on the island. 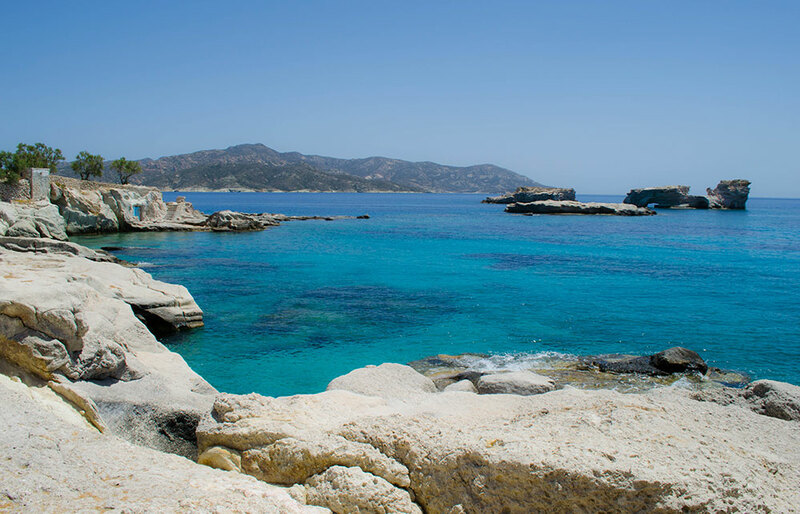 Ancient Times: Kimolos was part of Milos and got separated after a strong earthquake. The island was inhabited from at least the Late Neolithic Age.Findings at the sunken city and the necropolis in the area of Ellinika reveal that the island’s main city was inhabited until the early Christian years. In the ancient times, Kimolos was a battlefield between Athens, who was the ruler of the island, and Sparta, the ruler of the neighboring Milos Island. The island issued its own coins due to the great amount of exports of chalk and other minerals. Middle Ages: The Island was known as Argentiera (silver) and was part of the Venetian Duchy of the Cyclades upto 1537. At that time, Kimolos had evolved into a major trading hub. 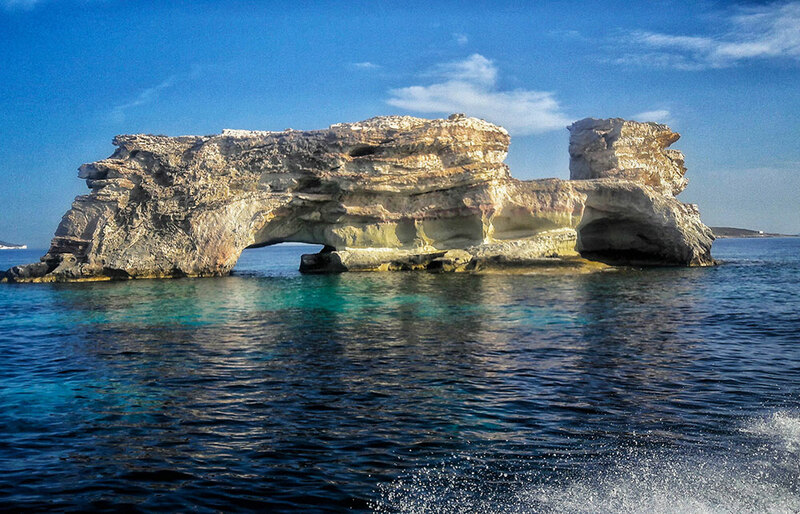 The island’s caves served as a shelter for pirates, who attacked and conquered the island in 1638. Ottoman Rule and the Greek Revolution: In the 16th century Kimolos was ruled by the Ottoman Empire like the rest of Greece. In 1829 after the Greek War of Independence, Kimolos became part of the newly-founded Greek state, along with the rest of the Cyclades islands. Prophet Elias: On June 20th Prophet Elias is being celebrated at Chorio with traditional dances until the early morning hours. Panagia of Konomo: Every 15th of August the Assumption of the Virgin Mary is celebrated, while preparations start from the 1st of August. Osia Methodia: On October 5th a celebration is being held on Kimolos in the memory of Osia Methodia, a nun who attained sainthood. The Presentation of the Blessed Virgin Mary: On the 21st of November the patron saint of the island is celebrated at the Metropolitan church. Kounies (swings) Custom: On Easter Sunday, a swing is set up in the town's main square in which boys and girls in traditional costume take a swing mainly to show affection and flirt. To push someone on the swing on this occasion is a commitment to marriage before God and men. 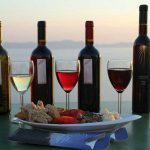 Cultural Festival: every August the quiet island of Kimolos organizes a festival with the cooperation of the island’s community. During this festival guests can enjoy numerous events like art exhibitions, creative workshops, theater performances, dance nights and live music. Ladenia Festival: Ladenia is a traditional recipe from Kimolos, quite similar to pizza, full of tomatoes and onions. Every August the locals organize a festival dedicated to Ladenia, with demonstration of various local recipes, live music, dancing, wine and many delicious local products.